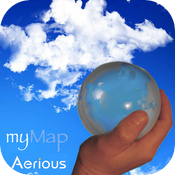 Published by Aerious Ltd, MyMap is a flexible mapping application designed for the iPad. Although it works with the iPhone as well, this review is restricted to its use with the iPad. MyMap is currently priced at $7.99. MyMap is a complete mapping application that can display a large selection of maps from any tile server. In addition, it lets you add and use your own maps. Because it contains a series of excellent ViaEuropa Ordnance Survey maps, MyMap may look especially appealing for UK users of the iPad. The app allows you to check maps even when you’re not online. To do this, however, you have to download maps to cache, which may take a bit of time. In terms of search services, MyMap looks good. The application comes with a handful of search services included, but its maker explains that the search feature can be modified to search specific datasets. Overall, the search capabilities of MyMap are powerful, and quite flexible. Maps are fairly easy to navigate. A visual interface in the form of a dual slider lets you zoom in or out of a map in order to check certain parts of it in more detail. For the most part, zooming is smooth and responsive, in that it makes it easy for you to check a particular area with as few commands as possible. With MyMap you can draw symbols as well type text directly on the map. A large selection of symbols is included, from which you are free to choose. Unfortunately, at the moment the app doesn’t allow you to insert your own photos or symbols, but developers have promised that this feature will be included in future releases. It should be noted that MyMap lets you save the drawings you have made, and then reload them next time you use the app. MyMap allows you to send emails that contain a map as an attachment. Because of the included templates, this feature can be really helpful, especially if you travel much. Some of the template emails that you can send include “Report a Pothole” or “Meet Me Here”. Besides the attached JPG map, a link to the map is also included in the email, which can be used by the recipient to find the location in question more easily. 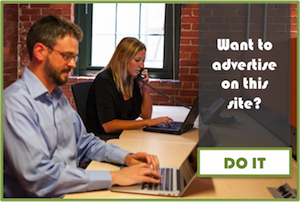 MyMap allows you to modify these email templates, so that you can for instance personalize them for your business. Obviously, a bookmark feature could have not been missing. MyMap lets you created bookmarks whenever you need to, as well as sort them according to priority. What’s more, you can select for some bookmarks to load automatically, whenever you launch the app. Another notable feature that MyMap for iPad boasts is a magnifying glass with three zoom options, which does its job quite well, though it may take some time before you get used to it. Finally, it should be mentioned that MyMap’s makers are willing to customize the app for you if you plan to distribute it to your customers or users. 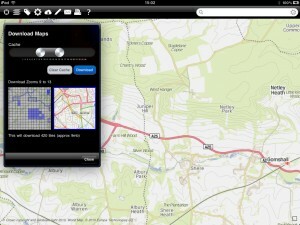 MyMap for iPad is a complete mapping application that does what it claims. The only downside to it is the $7.99 price, which, although justifiable considering what it offers, may deter users who want just a simple mapping application for everyday use. Nevertheless, MyMap represents at the end of the day a good investment. 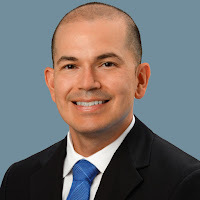 This guest article has been written by Calvin Scott. Calvin is passionate about technology and often writes reviews about latest gadgets. Visit his site for Glasvezel and Glasvezel Amsterdam.